The perfect picks for Spring! What are your favourite spring beauty bits? I really need to get Essie mint candy apple, I really want to try the chubby sticks- they look amazing! 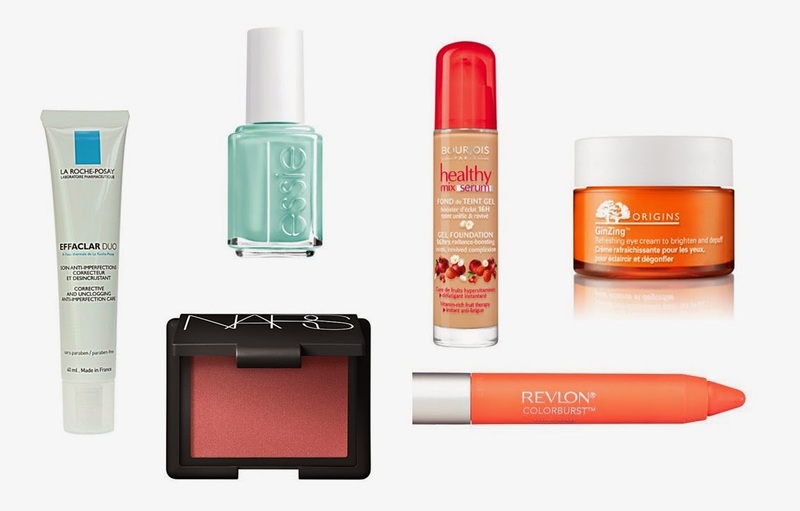 Check out my joint beauty giveaway..
Love the healthy mix serum and the orange lip balm! I definitely am leaning to pastels this spring. I love all these products, I do not own all of them but I've heard so many amazing things about the ones I don't. One of my favorite Revlon matte balms is in the color Showy, an amazing bright ink perfect for summer, I highly recommend it.